If you’re looking for a magical retreat where you can encounter the wondrousness of the potential of off grid living then this one’s for you. 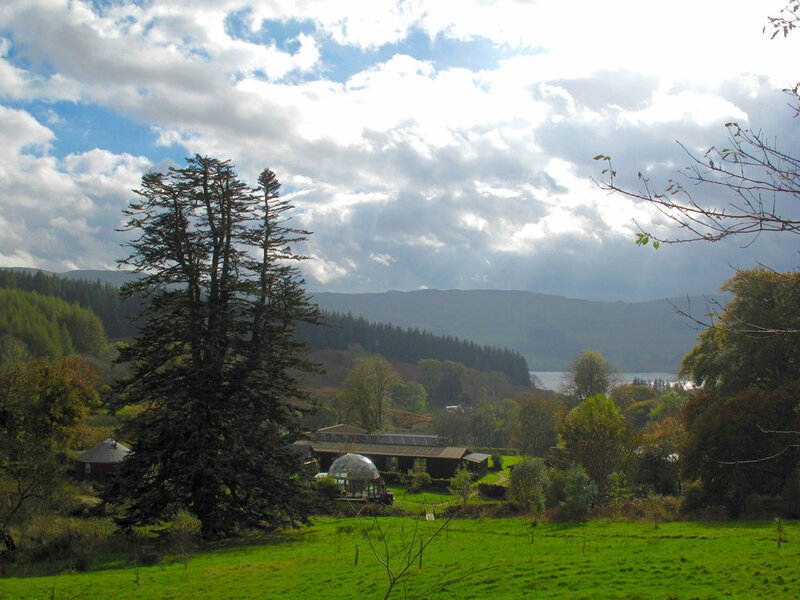 Set in magnificent Scottish scenery of hills, lochs, rivers and forests, the retreat is a shining example of sustainable eco-living that demonstrates that a genuine eco experience doesn’t have to mean compromise. 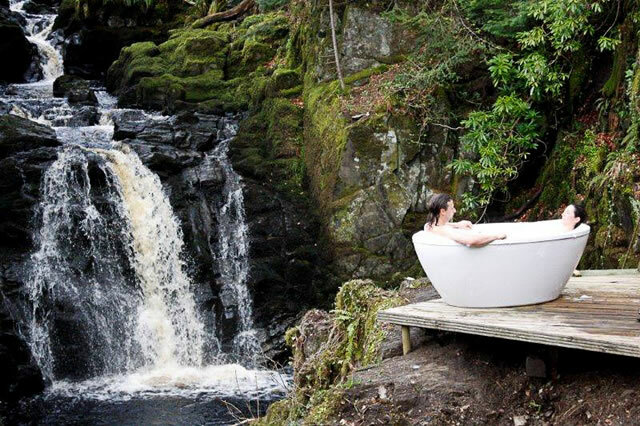 Dissolve away your stresses and strains in a host of extraordinary bathing opportunities. 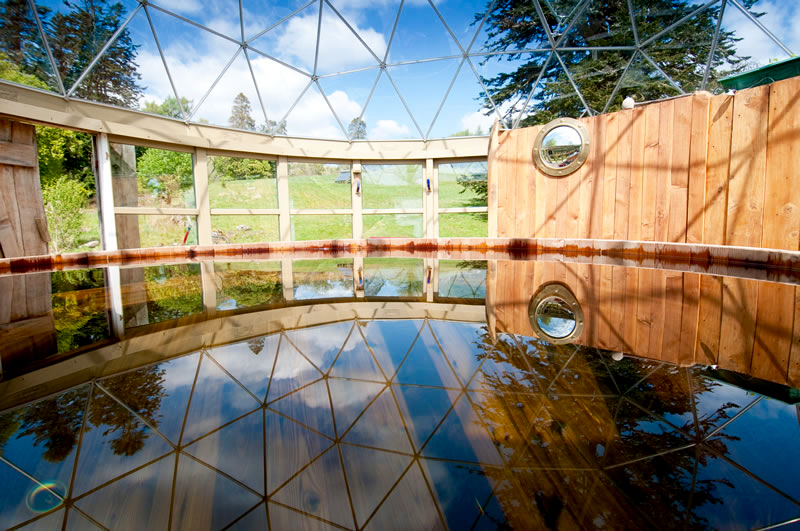 Savour the delight of emerging from the grass-roofed sauna into the splendour of a inky star-filled sky and the momentary chill on the feet of a dew covered lawn before submerging into a moon lit, spring-water fed, eco-powered hot-tub. There’s a childish glee, that has to be experienced directly, that comes from bathing, naked as the day you were born, in a freshly-filled big hot bubbly bath, in a completely private glade at the foot of a waterfall. For added woop alternate between a plunge into the crystal clear icy pool at the foot of the falls and a deep soak in the tub. Each cozy bedroom has a wonderfully comfortable king size bed, organic fair trade cotton sheets and a choice of four pillows to choose from. We believe that a seriously comfy bed is an essential part of a perfect retreat and there’s no reason for eco and ethical to mean uncomfortable! There is also one state of the art yurt with three comfortable single beds, each with a curtain for privacy. The rooms are all individually heated with electric heaters which are controlled by the guest. There are also two showers in the dome, with the hot tub and another in the main house along with an indoor bathtub. Fabulous, and we mean fabulous, organic vegetarian and vegan food; and proper coffee too. Vegetarian and vegan feasts are prepared by resident and visiting chefs, with wide, colourful selections of delicious dishes to captivate the taste buds and melt the heart of even the staunchest meat-eater. Fruit and vegetables come straight from the organic garden when in season. Huge buffet brunches and dinners and delicious hearty lunchtime soups are supplemented by fresh bread, warm from the oven and snacks (including eggs from Ecoyoga's own very free range hens) available in the communal kitchen. A full range of organic teas and coffees are available night and day. They even have a fantastic barista style coffee machine for cappuccinos and lattes! There are some magnificent walks with awe-inspiring views for those who fancy a stomp. Laura, the super smiley and brilliantly capable manager of ecoYoga can usually be persuaded to act as a guide if you fancy something special. 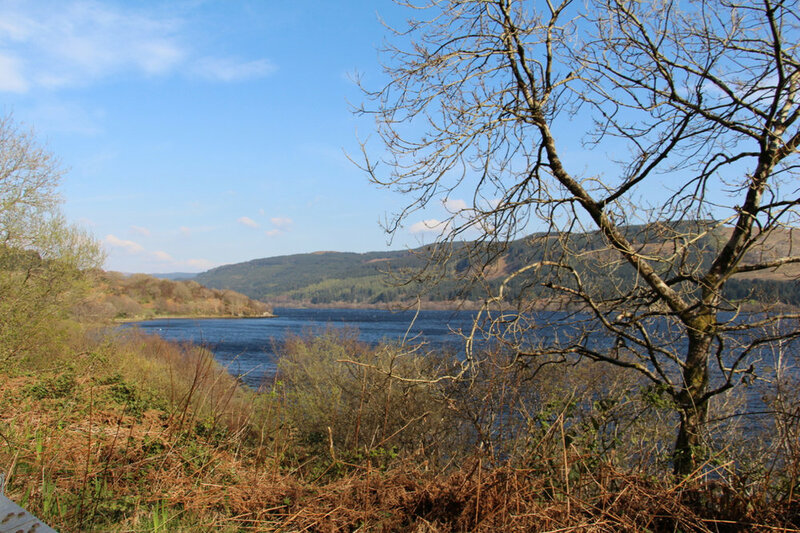 But just wandering down to the loch for a wild swim or up into the hills for a spot of eagle watching is also a rare and tranquil treat. The trains take 4.5 hours from London and are pretty comfortable if a little expensive. You can book up to 3 months in advance and grab yourself a bargain if you can. 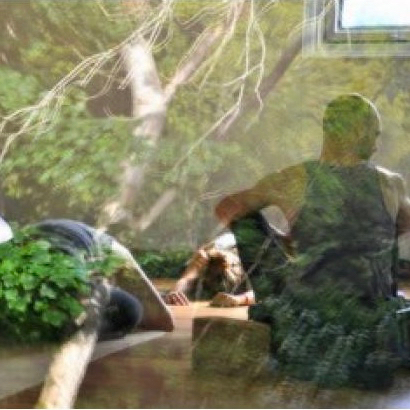 From Glasgow we arrange a coach to take you to Ecoyoga. We pick up from Central Station at 2:30pm and Glasgow airport just after. The cost of the coach is divided by all passengers but is usually around £40 return. It takes 2.5 hours and goes up Loch Lomond and down Loch Fyne, it's a beautiful drive.